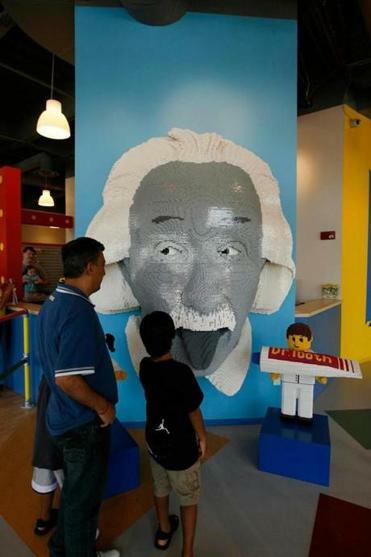 Visitors to the Legoland Discovery Center near Chicago can view a model of Albert Einstein. If your kids like Legos, you’re going to want to read this: A massive Legoland Discovery Center — basically a mecca of miniature building — is coming to Somerville’s Assembly Square. The 44,000-square-foot indoor facility will open next spring as part of the $1.2 billion Assembly Row development, giving the complex an attraction its developers expect will lure visitors from hundreds of miles. Legolands — like the plastic bricks themselves — have something of a cult following among enthusiasts. Grand openings tend to attract massive crowds and consistent lines thereafter. Discovery centers host everything from adults-only luau nights, to youth building competitions, to movie premiers featuring Lego characters. 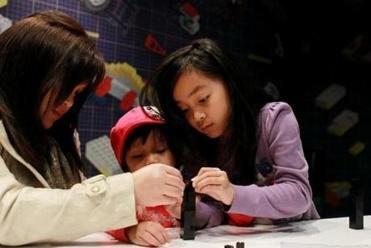 Legoland Discovery Center visitors also can work on models. 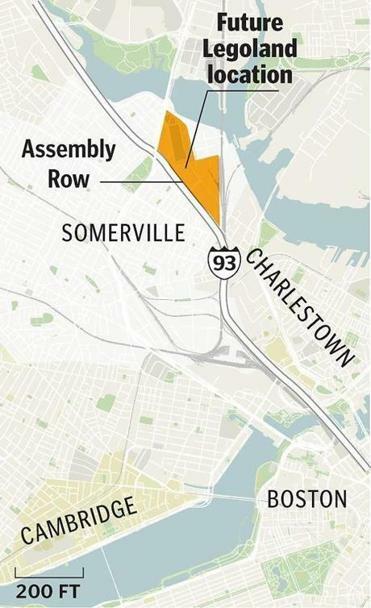 The Somerville facility will include a 4-D theater, Lego rides, a cafe, a master builder workshop, and a 1 million Lego replica of Boston’s landmark buildings. It will be the seventh discovery center in the United States, following others in Atlanta, Dallas, Chicago, Kansas City, and Yonkers, N.Y., and one under development in Charlotte, N.C. There are also Legoland theme parks in Florida and California. Admission fees have not been determined in Somerville, but other locations charge about $20 per person, with children 2 and under admitted free. Legoland is one of several attractions moving to Assembly Row, a 45-acre redevelopment of former industrial property along the Mystic River that once hosted a Ford Motor Co. factory. The complex will include outlet stores, hundreds of residences, offices, a revitalized waterfront park, and a new Orange Line MBTA station. In addition to Legoland, Nike recently signed a deal to open a store on the property, as did the French cookware maker Le Creuset. Other retailers will include Brooks Brothers, women’s clothier Chico’s, and the ice cream shop J.P. Licks. AMC Theaters is also opening a 12-screen cinema on the property. Among the new restaurants will be Legal C Bar, the Mexican eatery Papagayo, and Earls Kitchen + Bar , a Canadian bistro that will open its first Northeast US location at Assembly Row. Hundreds of residences are expected to be completed along the project’s Mystic River waterfront this fall, and the stores and restaurants will begin opening next spring. The developers are also trying to open a supermarket on the site, but have faced some opposition from officials who prefer dense development to a single-level store with a huge parking lot. The Legoland Discovery Center is a key tenant for developer Federal Realty, which is hoping to get visitors to linger on the property for several hours, rather than buying something and quickly leaving. The Somerville facility will have Legoland’s core attractions, including a center for building Lego cars and racing them. It will also feature an educational center where a master builder helps visitors craft their ideal Lego models, buildings, and other creations. As construction continues on Assembly Row this summer, Federal Realty is holding several events to help bring crowds to the property. On Aug. 7, it will begin hosting Cavalia’s Odysseo , a big top theatrical production that combines equestrian arts with acrobatics and high-tech special effects. The two-hour show has 50 horses, a 302,000-liter lake, and three IMAX screens. Correction: An earlier version of this article incorrectly stated the location of a Legoland theme park.